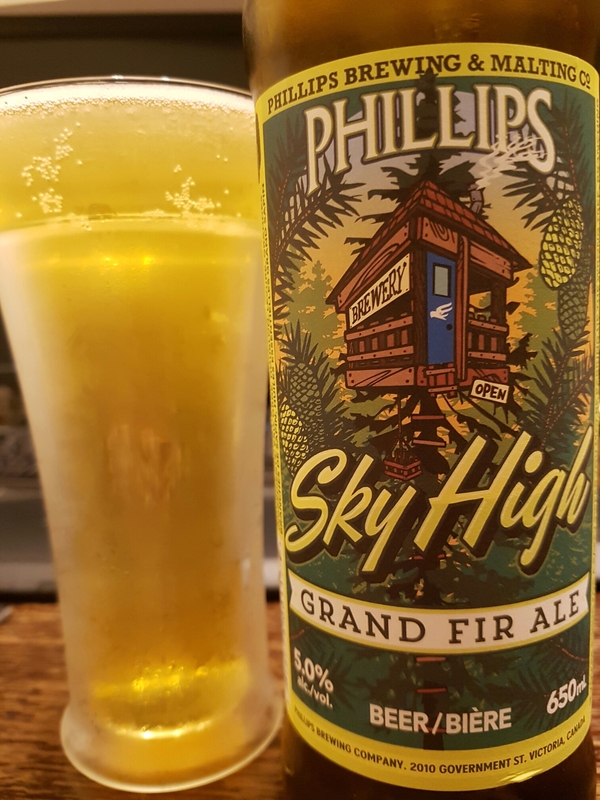 Sky High Grand Fir Ale – Phillips Brewing Co. (Victoria, BC, Canada) | Justintoxicated. Ingredients: water, barley, hops, yeast, grand fir boughs, grand fir essential oils. Visual: Pours clear golden straw yellow, almost no head, thin large island retention, several of steady large CO2 bubble streams. Suspended sediment in the last pour. 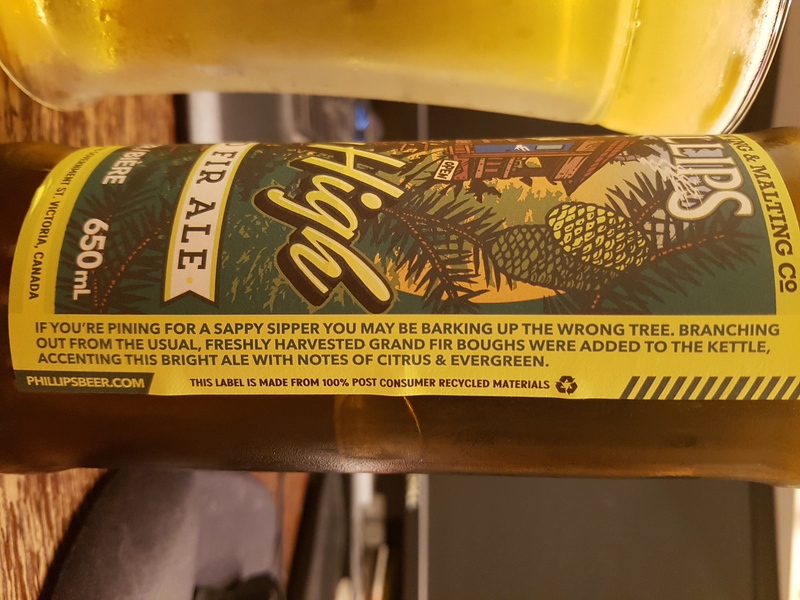 Summary: Interesting prominent grand fir flavour profile that works, but the barley base is fairly basic and non-spectacular.